Koko the Gorilla, who was known for having learned quite a few hand signs from a modified version of American Sign Language, died on June 19 2018 at the age of 46. Koko was born Hanabiko (literally "fireworks child" in Japanese) on July 4 1971 at the San Francisco Zoo. She was loaned to Francine "Penny" Patterson at a young age and subsequently lived her life at The Gorilla Foundation's preserve in Woodside, California. Koko was only one year old when Dr. Patterson began learning hand signs. Dr. Patterson claimed that Koko knew more than 1000 signs, and even learned to give people "the finger". On Koko's birthday in 1984 she was given a male kitten which she named "All Ball". Sadly, All Ball got outside and was hit by a car later that year. Fortunately she would have better luck with other pet cats. Over the years Koko would also get to meet several human celebrities. A fan of Mister Rogers since she was only a year old, Koko had the opportunity to actually meet Fred Rogers. In 2004 she met Betty White, who would even go onto write an entire chapter in her book If You Ask Me about Koko. She met Robin Williams one afternoon and the two played together. She also met Leonard DiCaprio, William Shatner, Sting, and even primatologist Dame Jane Goodall. Many of the celebrities made tweets upon learning of Koko's death and Dr. Goodall even wrote a post on their meeting on her blog. There has always been debate over the extent to which Koko knew and understood sign language, and the extent to which her handlers read things into what Koko signed. 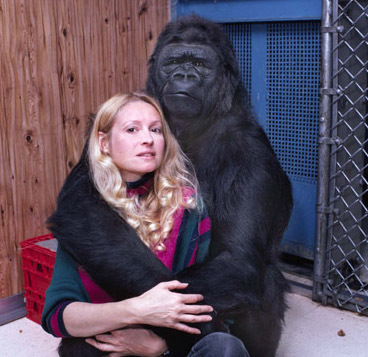 While this controversy may never subside, I think one thing can be certain: Koko was a gentle creature who had a special bond with other animals. She took very good care of her kittens over the years, caring for them much as she would a baby gorilla. She clearly enjoyed the company of humans, and she charmed the many that she met. Indeed, Betty White, who served on The Gorilla Foundation’s Board from 2004 to 2016, regarded Koko as a friend. It was largely because of Koko's gentle and giving nature that humanity's perception of gorillas changed. Previously portrayed as aggressive creature in many films (such as the classic King Kong), Koko showed that they were actually kind, caring creatures. It was thirty years ago today, on June 22 1988, that Who Framed Roger Rabbit (1988) was released. The film would turned out to be the blockbuster that summer and ultimately became the second highest grossing film for 1988 (after Rain Man). It would also revive interest in the American Golden Age of Animation and help revive the American animation industry. To this day it is still highly regarded, and maintains a 97% approval rating on the review aggregation site Rotten Tomatoes. Who Framed Roger Rabbit was based on Gary K. Wolf's 1981 novel Who Censored Roger Rabbit?. The novel centred on comic strip character Roger Rabbit, who hires detective Eddie Valiant to find out why the comic strip syndicate who employs him went back on their promise to give him his own comic strip and sell him to a mysterious buyer. The novel differed from the motion picture in many ways, not the least of which was the fact that it was set in present day (Who Framed Roger Rabbit is set in the Forties) and most of its characters are comic strip characters rather than animated cartoon characters. Ultimately the movie would centre on animated cartoon character Roger Rabbit, who is framed for the murder of powerful businessman Marvin Acme (yes, he owns Acme Corporation). It is detective Eddie Valiant who must prove Roger's innocence. It was not long after the publication of Who Censored Roger Rabbit? that Walt Disney Productions bought the movie rights to the novel. Jeffrey Price and Peter S. Seaman, who would write the screenplay for the movie Trenchcoat (1983), were hired to write the script. Roger Zemeckis, who had at that time directed I Wanna Hold Your Hand (1978), 1941 (1979), and Used Cars (1980), offered to direct the movie for Walt Disney, but they declined as both I Wanna Hold Your Hand and Used Cars had flopped at the box office(the latter would later become a popular cult film). Unfortunately, progress on the project was slow, with test footage being made between 1981 and 1983 with Darrell Van Citters as animation director and Paul Reubens as Roger Rabbit, Peter Renaday as Eddie Valiant, and Russi Taylor as Jessica Rabbit. It was Michael Eisner, then the newly appointed CEO of Disney, who revived the project in 1985. He asked Amblin Entertainment (the production company of Steven Spielberg) to co-produce the film with Disney. The original budget was estimated at $50 million. Disney thought this was too high and ultimately the budget was set at $30 million. Not only were Jerry Price and Peter S. Seaman brought back onto the project to write the script, but Roger Zemeckis (who had since directed the hits Romancing the Stone and Back to the Future) was hired as the film's director. Canadian animator Richard Williams was hired as the director of animation on the film. At the time Mr. Williams may have been best known for his Academy Award winning adaptation of A Christmas Carol. Mr. Williams did not particularly trust Disney and refused to work in Los Angeles, so much of the production of the animation was done at the legendary Elstree Studios in England, as well as a unit in Los Angeles headed by Dale Baer (a long time Disney animator). The casting of Who Framed Roger Rabbit would prove to be no simple matter. Even though he was best known for action movies at the time, Harrison Ford was initially who Steven Spielberg wanted to play Eddie Valiant. As it turned out, Mr. Ford's price was too high for the production. Among the actors also considered for the role were Bill Murray (whom they couldn't get in contact with), Eddie Murphy (who turned the role down), Chevy Chase, Robert Redford, Jack Nicholson, Sylvester Stallone, Charles Grodin, and a few others. Ultimately, Bob Hoskins, who had appeared in such movies as The Cotton Club (1984) and Brazil (1985) was cast as Eddie Valiant. Christopher Lloyd, who had worked with Roger Zemeckis on Back to the Future, was hired to play the film's antagonist. The voice of Roger Rabbit was provided by comedian Charles Fleischer (apparently no relation to the Flesichers of animation fame) and the voice of Jessica Rabbit was provided by an uncredited Kathleen Turner. Of course, Who Framed Roger Rabbit is well known for the many cameos of classic animated characters. Indeed, it would be the first time ever that characters from Disney and Warner Bros. appeared together. Among the famous cartoon characters with cameos were Betty Boop (Fleischer Studios), Bugs Bunny (Warner Bros.), Daffy Duck (Warner Bros.), Donald Duck (Disney), Droopy (MGM), Goofy (Disney), Mickey Mouse (Disney), Sylvester (Warner Bros.), and Porky Pig (Warner Bros.). In some cases the classic animated characters were voiced by the people most famous for voicing them. Mel Blanc voiced Bugs Bunny, Daffy Duck, Sylvester, Porky Pig, and Tweety Bird. Mae Questel voiced Betty Boop. The legendary June Foray voiced two characters original to the film, Wheezy and Lena Hyaena. As amazing as it sounds, there could have been even more cameos by legendary animated characters in the film, but Disney and Ambin were unable to get permission to use them. They were denied the use of Casper the Friendly Ghost (created at Paramount, but then owned by Harvey Comics), Heckle and Jeckle (Terrytoons, owned by CBS), Little Lulu (created by Marjorie Henderson Buell, animated by Paramount, and then owned by Western Publishing), Mighty Mouse (Terrytoons, owned by CBS), Popeye (King Features Syndicate, although the classic cartoons had been animated by Fleischer Studios and then Paramount), and Tom & Jerry (MGM). Because it combined live action and animation (something previously done in Anchors Aweigh, Mary Poppins, Bedknobs and Broomsticks, and a few other films), Who Framed Roger Rabbit would have a long time in post production. In fact, post production ultimately lasted 14 months. 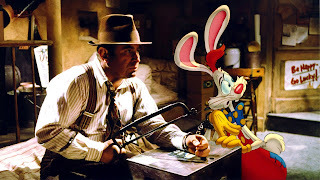 Because digital compositing did not yet exist and computer animation was in its infancy, the animation in Who Framed Roger Rabbit had to be done through old fashioned cel animation and optical compositing. This was a painstaking process that took a good deal of time. The finished film would run into some trouble with both Michael Eisner and Roy E. Disney, then Vice Chairman at Disney, who felt the film was too risqué for a Disney film. Ultimately, Robert Zemeckis had final cut and refused to make any changes to the film. It was finally decided that Who Framed Roger Rabbit? would be released through Touchstone Pictures, Disney's division for films that appeal primarily to adults and often feature more mature themes than those found in most Disney films of the time. While Messrs. Eisner and Disney worried about the film being risqué, history shows that they shouldn't have been. Who Framed Roger Rabbit proved to be a smash hit at the box office. It made $329.8 million at the box office, making it the second highest grossing film of the year. It also received overwhelmingly positive reviews. Who Framed Roger Rabbit would also prove to be influential. It revived interest in the characters from the American Golden Age of Animation. It has also been credited with revitalising the American animation industry. Arguably it also revived the American animation industry. While Warner Bros. had been producing new shorts since shortly before Who Framed Roger Rabbit, they continued to do so well after the release of the film. Walt Disney itself would produce three Roger Rabbit shorts. There are those who believe it helped spark the Disney Renaissance of the late Eighties and Nineties that produced such films as Beauty and the Beast (1991), Aladdin (1994), and Mulan (1998). In the Nineties other studios would also release cel animated features, including 20th Century Fox's Anastasia (1997) and Warner Bros. Animation's The Iron Giant (1999). Today Who Framed Roger Rabbit remains a remarkable achievement in animation and live action, particularly given it was made in an era before CGI was common place. It would help revitalise animation in the United States and revive interest in the Golden Age of Animation. It also remains a remarkably good movie, one that can be watched and enjoyed over and over again. While it might have been too soon to have called Who Framed Roger Rabbit a classic earlier, it now clearly is one. I have been a fan of Turner Classic Movies very nearly since the channel first went on the air. And I am happy to say it is very rare that I am ever disappointed by TCM. Unfortunately, last night when the Watch TCM mobile app updated on my phone is one of those few times when TCM disappointed me. Quite simply, the Watch TCM app (which I had given a sterling review a while back) has lost a lot of its functionality. Indeed, the first thing I noticed when I opened the new version of the Watch TCM app is that it was missing the schedule. For me this is very nearly a deal breaker. The schedule was the one thing I used the most on the Watch TCM app. In fact, I checked it very nearly every day. It was convenient as I could check what was on Turner Classic Movies at any given time when I was away from home or if I simply wanted to check the schedule without walking over to my computer to go to the Turner Classic Movies web site or checking the cable menu on the TV. The Watch TCM app also appears to be missing some other features it had previously as well. Earlier versions of the app had an archive of clips and trailers that one can watch. If it still has an archive of clips and trailers, I could not find it. It also had an image gallery with posters, lobby cards, production photos, and publicity photos. That appears to be gone as well. The old version of the app also had various notes on films, complete with trivia and details about the movies' productions. This feature also appear to be missing from the new version. Now, as might be expected, one can still watch Turner Classic Movies live on the app. And I cannot deny that this is very useful to have. A couple of times when TCM was out on our cable system for whatever reason, I simply pulled up the Watch TCM app and mirrored my phone to my television set. Because of this I did not miss any programming on TCM. That having been said, I only used the watch live option a couple of times. It is not something I use regularly. With the Watch TCM app one also still has access to TCM On Demand. This is something I have never used as I have access to On Demand through my cable system. Given I can simply watch TCM On Demand on my television set, I have no reason to watch it on the app, although others might find it useful. Now the new Watch TCM App does have some new features. There is a Watchlist to which one can add films to one's queue to watch later. That having been said, since I have TCM On Demand through my cable provider, I really can't see using this very often. One can also browse movies through TCM's various themes, such as Star of the Month, Silent Sunday Nights, 31 Days of Oscar, and so on Again, I can't see using this very often as I have access to TCM On Demand on my television set. Regardless, I do not appear to be alone in my unhappiness with the new Watch TCM App. Of the reviews for the new app on The Google Play Store, the majority of them are negative (keep in mind the reviews for older versions of the app were overwhelmingly positive). The biggest complaint appears to be the lack of the schedule on the new version of the Watch TCM app. There have also been a few people on Twitter who have complained about the new app (myself included). There too most people seem to be complaining about the schedule missing from the app. In the end I would say that if you want to watch movies on your phone or tablet or if you think you might have reason to at some point (for instance, TCM is out on your cable system), the Watch TCM app is still worth downloading if you don't already have it. If you do already have the Watch TCM app and it has not yet updated, I would immediately disable automatic update on the app and simply keep the old app as long as you can. 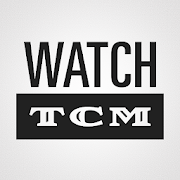 I am sincerely hoping that Turner Classic Movies listens to viewer's complaints about the new version of the Watch TCM app and restores much of the functionality it once had to the next version of the app (the schedule at least) . I also hope they do so as soon as possible. Seventy years ago today, on June 20 1948, Toast of the Town debuted on CBS. If you don't recognise the title Toast of the Town, then you will probably recognise the title by which it would be later called: The Ed Sullivan Show. For the next 23 years it would remain a Sunday night staple on CBS. When it was cancelled it was not due to its ratings, but because its audience was considered "too old". 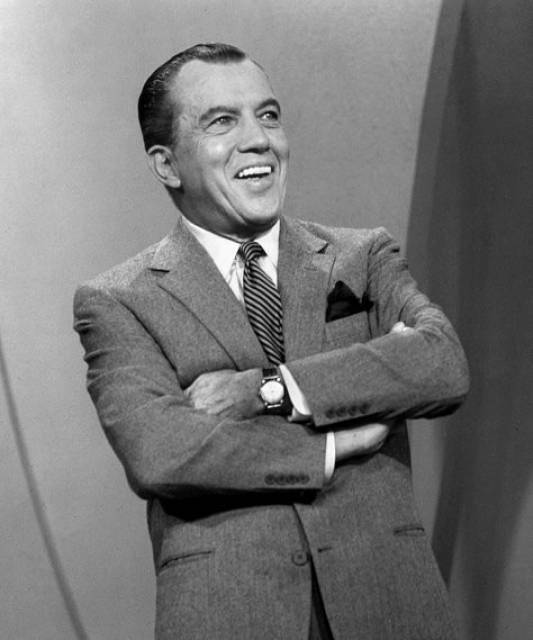 The Ed Sullivan Show would not only prove to be popular, but it would also prove to be influential. The show was notable for the first television American performances of many legendary performers, most notably Martin & Lewis and The Beatles. At a time when African Americans only rarely appeared on television, Ed Sullivan featured black performers regularly. Harry Belafonte, James Brown, Cab Callway, Diahann Carroll, Sam Cooke, Lena Horne, Eartha Kitt, Moms Mabley, The Miracles, Richard Pryor, andThe Supremes all appeared on The Ed Sullivan Show. I wrote a detailed post on The Ed Sullivan Show on the occasion of its 60th anniversary. You can read it here.